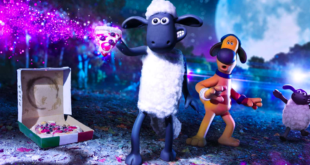 We talk about a stellar year for Shaun the Sheep, including a movie, painted sculptures, new TV and a Rugby World Cup tie in. Firstly, can you just give me a brief recap on the history of both the character and the brand? Shaun first appeared on our screens in 1995 as a character in Wallace & Gromit: A Close Shave. At that time the viewing public seemed to take to him, and he developed his own global fan base and merchandise programme (with a little help from Emma Bunton along the way). Fast forward 12 years and Shaun got his own TV series, launching on CBBC in UK and followed closely by broadcasters around the world. 130 episodes later (with 20 more on the way) the show has won numerous awards including two Baftas and the brand has developed as a family favourite all over the world. Shaun the Sheep was recently voted the most popular BBC children’s TV character of all time by Radio Times readers. How many licensees are signed up to date? Which are the most popular categories? What were some of the top selling Shaun products in 2014? Globally we have over 200 licensees, with around 40 in the UK. Plush toys drive the business but the family appeal of the brand means that we cover many categories. We’re very excited by our new global partnership with Walker Books, who have developed both brand new kids fiction and movie tie-in publishing programmes. 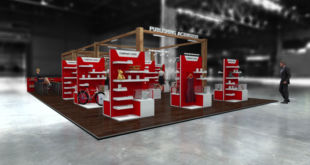 We are also experiencing growth in the areas of live events, shows and attractions, which brings the audience closer to the brand and present opportunities for promotion and merchandise sales. I’ve read various pieces about the movie, all absolutely loving it. Did you expect the film to be received so well? We hoped it would be reviewed well but took nothing for granted. We are very lucky to be amongst such extraordinary talent here at Aardman. Despite the creative challenges around turning a dialogue-free TV show into a feature length movie, they have developed something really special. We are very proud of that, and happy to bask in their reflected glory. What’s the secret to Shaun’s success and popularity with all ages do you think? 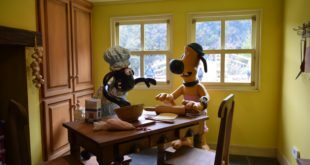 It’s just what Aardman do… I think they might put something in the tea…. How are you now going to capitalise on this success with consumer product? We’ve spent a lot of time and resources on our style guides to build a core look that works for our primary target consumer, which is five to eight year old children and their families. We have confidence in our licensees to translate that into appealing products, and so our main objective is to make sure the key categories have good coverage across retail. A very high profile marketing campaign is happening now in the UK, and this will be repeated in all our key territories as the movie launches over the coming months, which will drive demand. As we go on through the year, so we have a continuing programme of events that we expect to keep Shaun front of mind as we go into Q4. There’s also a tie up with the Rugby World Cup later this year – can you tell me some more about that? Can you talk through the tie in product which will be available? If I write lovely things, can I get tickets to the England games please? It’s a nice fit between the two brands, with Shaun being the face of the biggest sporting tournament of the year. It gives us the chance to put present Shaun in some non-traditional channels and affiliate with a brilliant event, while the Rugby World Cup gets a much-loved ambassador that can reinforce the sports credentials to a family audience. Running around a muddy field is second nature to Shaun and the flock and we’ve developed really funny new stills and assets. How will the ‘classic’ Shaun brand continue to be developed alongside the movie and rugby events? Will there be more TV episodes? Everything we do still feeds back to the classic brand. The movie and Rugby tie-in are touch points that reinforce the audience’s connection with the flock. We have so much additional UK activity planned for 2015 that will keep Shaun the Sheep ever-present. This includes Shaun in the City painted sculpture trail in London and Bristol, a themed attraction at Land’s End, Easter event at Kew gardens and a number of ongoing animation exhibitions and model making events. Globally we continue to develop bespoke events and promotions, strengthen our interactive platforms and develop new markets. On the broadcast side we are developing The Farmers Llamas, which is a half hour special that will air on BBC1 and around the world this Christmas, followed by 20 new episodes for 2016. What would you most like to have achieved with Shaun the Sheep by the end of 2015? Bums on seats, smiles on faces, and a cuddly plush sheep at the foot of every bed.